Start packing, this is it! 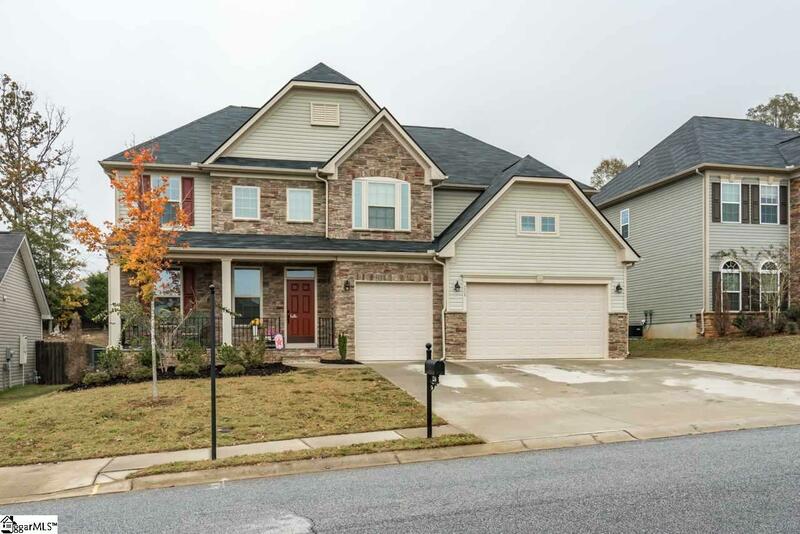 All of the space you need in this 4 bedroom home with 3-car garage. 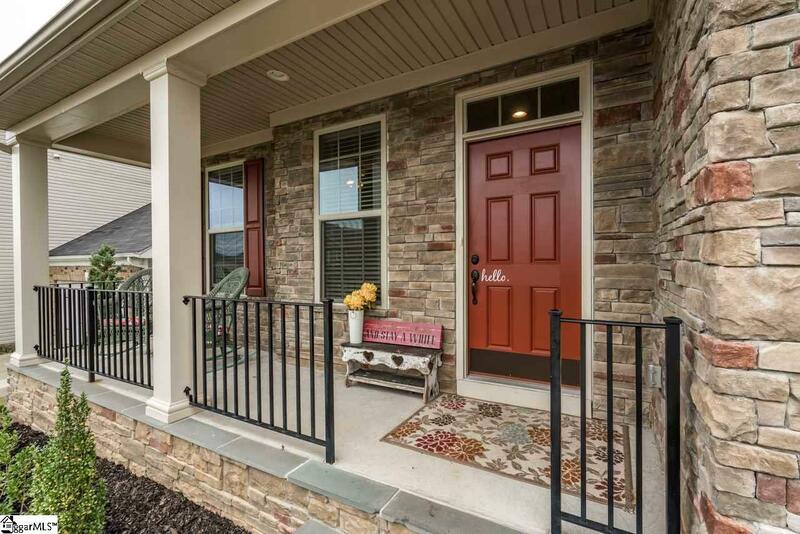 This three-year-old home has a rocking chair front porch to welcome your arrival. When you step into the foyer, you see the French doors that open to the living room on the left. Going through the arched doorway, you will see an enormous, open kitchen and great room. The granite topped kitchen island is so large it seats at least 5 across and has plenty of room for cooking and dining. This kitchen has an incredible amount of cabinet and counter space, a built-in desk, a generously sized dining area with large windows and French doors leading outside to the extended patio. The show-stopping kitchen is open to the large great room that features a gas log fire place and more large windows for plenty of natural light, making this a perfect home for entertaining. Also on the first level is an office, a fantastic entry area from the garage perfect for staging a drop zone for shoes and backpacks and a powder room. 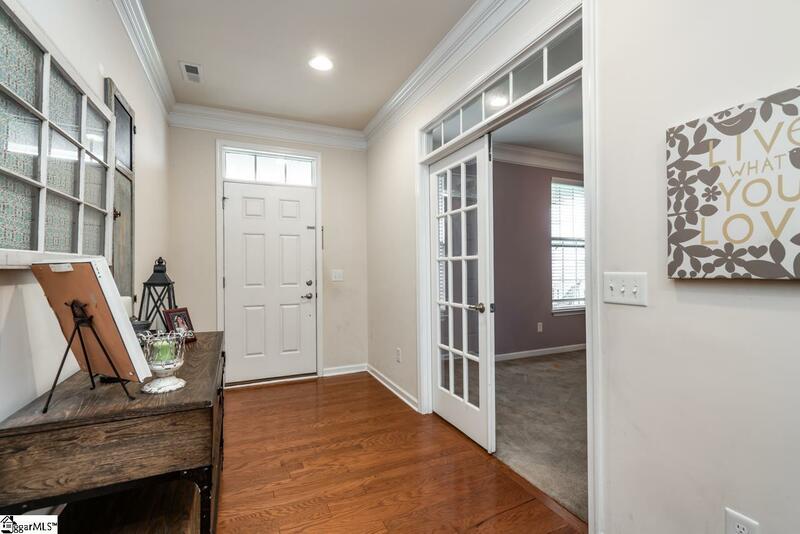 On the second floor, the master bedroom features a beautiful trey ceiling, his and hers walk in closets, double vanities in the master bath, separate water closet, a large shower and separate soaking tub. 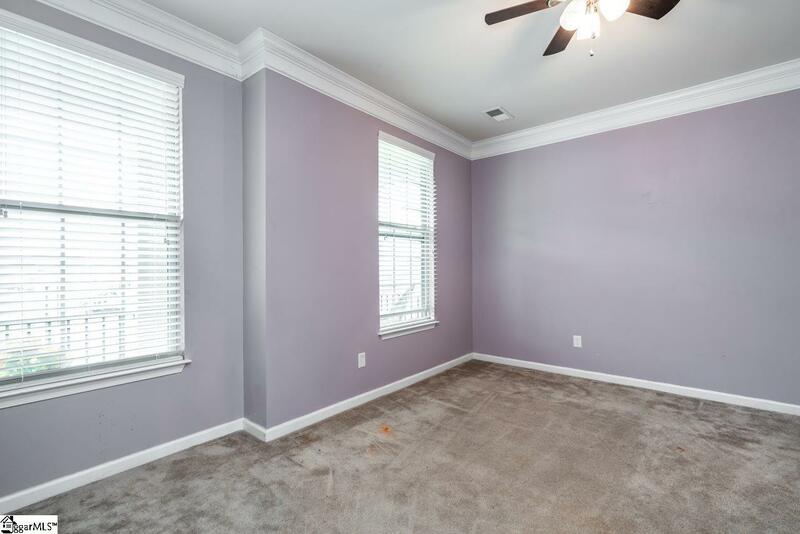 The 14 x 20 bonus room is next door to the master and down the hall are three additional large bedrooms, a second full bath with double sinks and a walk-in laundry center with plenty of cabinets and a utility sink. Zoned for the new, top-rated Rudolph Gordon school, very close to the school bus stop and with fantastic community amenities like a pool and playground, this three year old, energy efficient Ryan Home is upgraded throughout and ready for new owners! Listing provided courtesy of Stacy Jacobs of Coldwell Banker Caine/Williams.